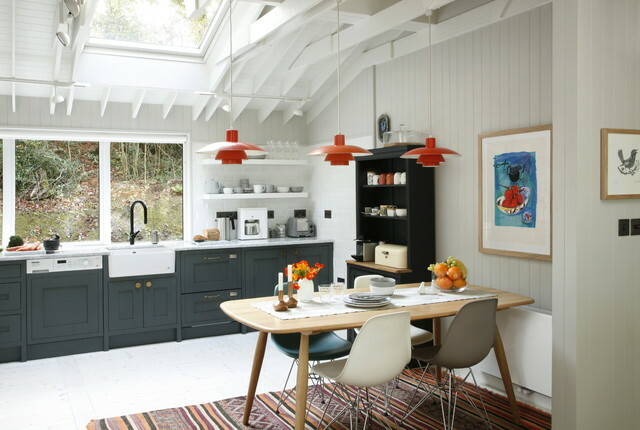 Houzz at a Glance Who lives here: Egon Walesch, an interior designer, and Richard Goodwin, a management consultantProperty: A 1960s bungalowSize: 2 bedrooms, 2 bathrooms Location: County Westmeath, IrelandThis characterful lakeside cottage has been in Walesch’s family for many years. His parents bought it in the mid 1970s and rented it out, along with a small clutch of chalets on the lake. Then, in the ’80s, Walesch and his parents moved into the cabin while they built a family home nearby, so it holds many memories.When he inherited the chalet in 2010, Walesch was keen to retain its integrity as a rustic lakeside cabin, and build on the heritage of this special place. Howth Road, Killester, Dublin 3.